30 or 31 guaranteed tomes pretty sure. There's definitely more than 10 tomes. There's certain number of them that are sure drop. And, they can be random drop. So, in a way, there's "indefinite" number of them. But, realistically, it is hard to get them and of course, to reach level 100. Last edited by p4ran0id on Tue Apr 17, 2018 9:32 pm, edited 1 time in total. Last edited by Brennan Mulrennan on Mon May 14, 2018 11:09 pm, edited 6 times in total. 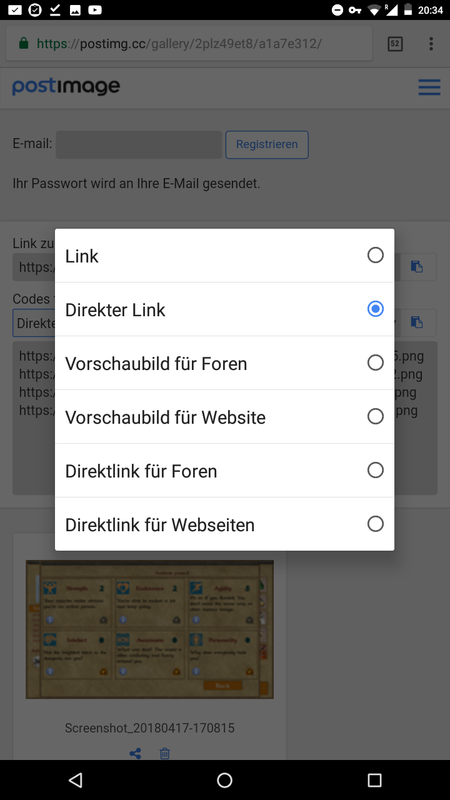 Can't successfully upload standard screenshot images from my gallery. yes it's normal. You have to reduce the resolution. Or better, just use an other image Hoster. I prefer https://postimages.org. 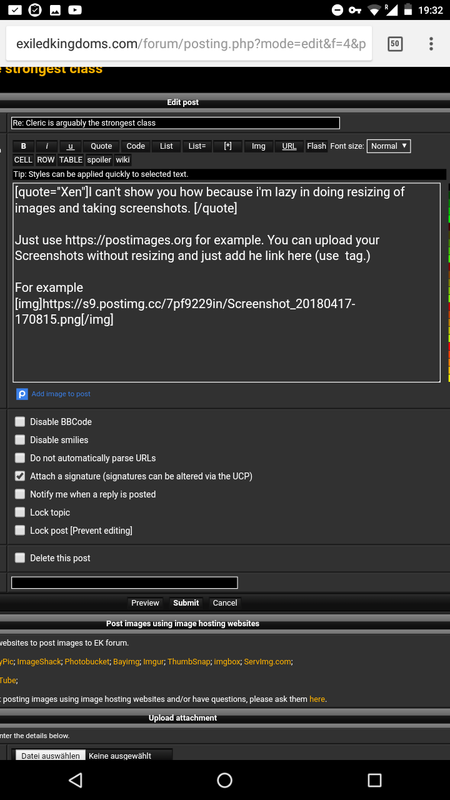 And to make posting images even easier, there's blue link with text "Add image to post" below text input area. Just click on that link, upload images and that's it. Very easy, efficient and much better than using attachment system that impacts server. Yes, that's strange, as it is really easier to recognize that link than attachment system, at least it looks easier to me, but, who knows, maybe people know about attachments and don't even look elsewhere. So after trying to master the image uploads, I'm still still working on it. 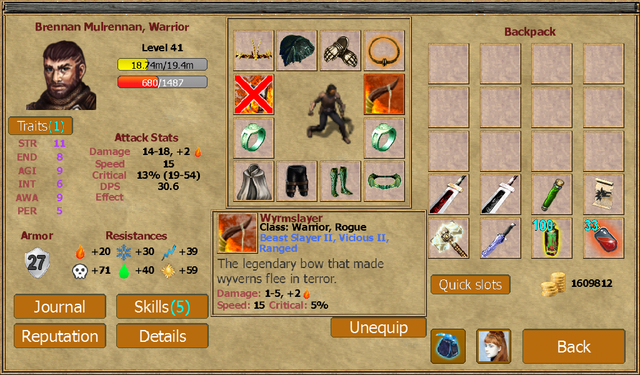 Here is the perfected leather build as an archer. 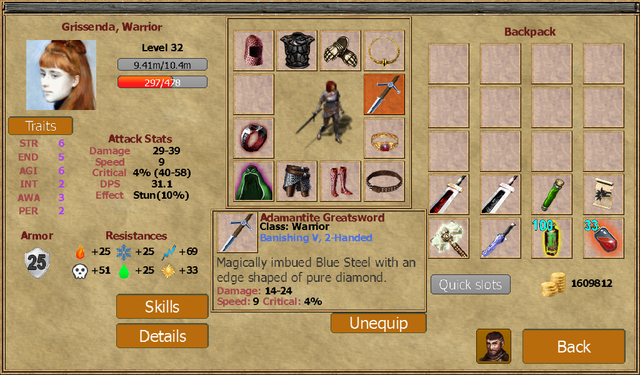 I also, of course, have complete sets of all the best full metal armor including: Ashen, Myrosian (less helmet), Legion, and the Ark Laminated Vest which I would combine with Ashen leggings and boots or Iron Foot boots if you chose that instead of Maul of Garrak in the Poison River quest.